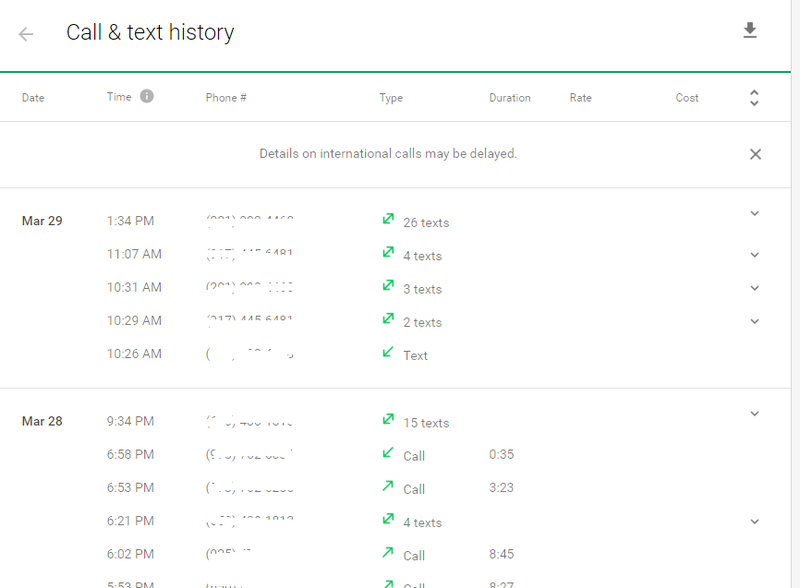 Project Fi started rolling out call and text history for user accounts. This will only be available for data post 2/4/16. 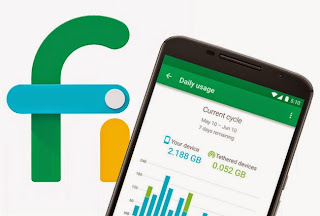 By going to fi.google.com you can go to the Accounts tab and then choose Call and Text History to see up to 6 months of history. In addition this will not include message content or audio. 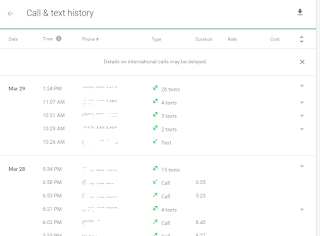 In addition to viewing the call and text history, users will have the ability to download their history to a CSV file. Once you are viewing the Call and Text history, just click on history and and there will be an option to download the file. You will also be given the option to set the date range you want to download. I think these are extremely welcome additions. More information of course can be found on the Project Fi help center page here.